I don’t know about you guys but I am excited to go back to school, I absolutely can’t wait. I’m starting a new major this year, I’m living in an awesome apartment style dorm, and I’m joining a lot of organizations this yearJ. This is my second year of college and after living in a dorm last year, I have a better idea of the things that are needed and not needed. I also know how stressful it can be to have to pack up everything and move it to your school; so to help keep the stress down to a minimum I’ve made a packing list. I cannot live without lists, I make lists for everything! If I don’t have a packing list, whether it’s for a week-long trip somewhere or a year at college, I will forget something; it never fails (one year at camp I forgot a towel! It was terrible)! I have attached my packing list to this and it comes in two sizes: Letter paper and A5. This is a list of things I need and it may not be the same for you (I have my own kitchen and bathroom) so feel free to take away and add as you believe is needed. I hope you enjoy! 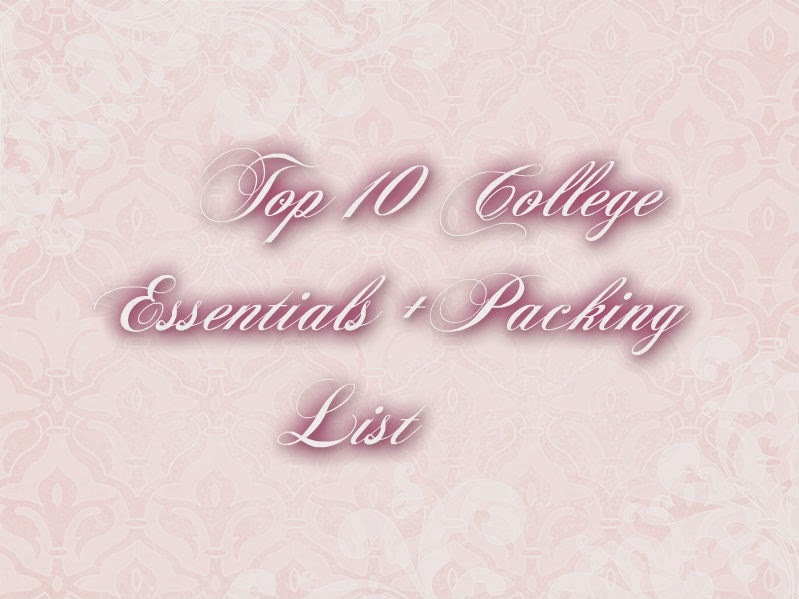 Here are my top 10 college essentials and are in absolutely no particular order, look at the end for a full packing list! These are a classic. I didn’t use them much until I got to college but they are amazing. For one they are super cheap so they won’t break your bank…especially if you’re a broke college student. I also realized that I don’t spiral notebooks because they ALWAYS break! Mine always wrap around each other or get caught on things in my bag or start unraveling and it drives me insane! I love that composition books don’t have that issue and they last forever. I have one that I have all my calc 1, 2 and soon to be 3 notes in one, science notes in another and will continue this trend. 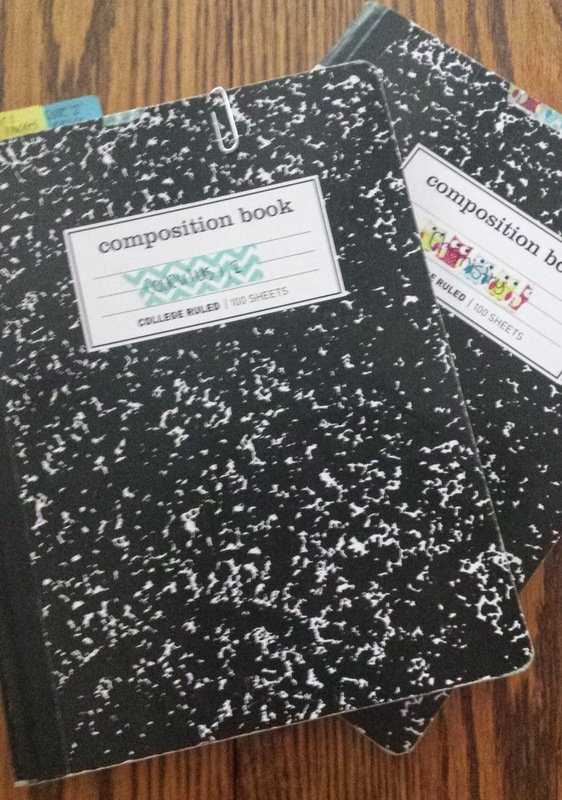 I also use washi tape to mark which composition books are for which class. It really helps when I am in a rush. We can’t use nails, push-pins, double-stick tape or anything of that matter on our walls at my school so instead I use the line of command products. 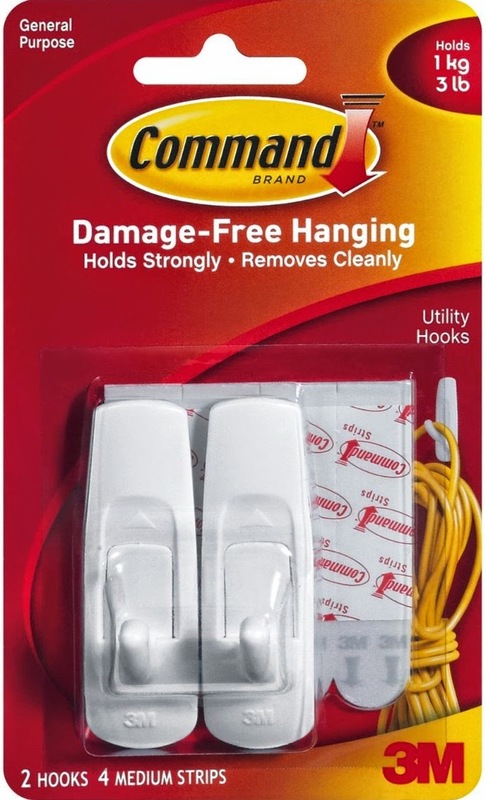 I love them, I use the hooks to hold my purses and anything that needs a hook to hang (maybe an extra towel?). 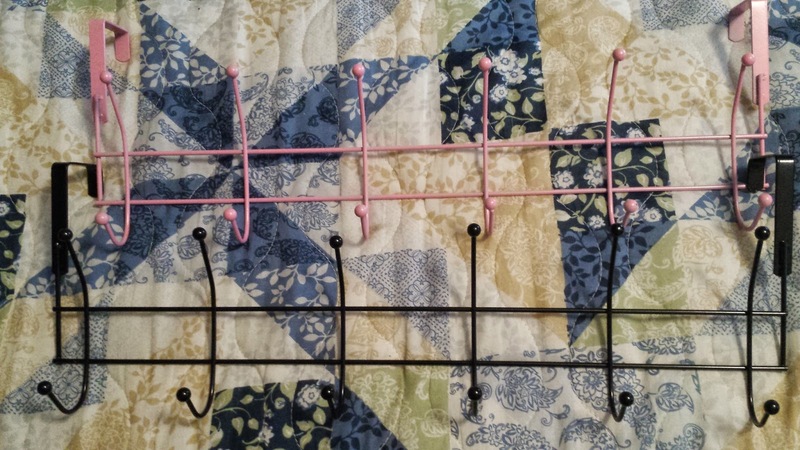 I also use the plain strips to hang up any posters and pictures on my wall. I tried using the regular 1 lb. tested strips to hang everything up, but learned when one of my frames can crashing off of my wall and almost impaled my roommate that I needed something stronger to hold everything up. So I went and looked and found 4, 6, 8, 12, and 16 pound tested strips! I got the 16 lb. just to be safe, I didn't want something to come crashing down again. Everything stayed up really well after that :) . Dorms do not come with much storage or space in general. These save space and provide more much needed storage. I like these over the door hooks that I got from target for 3 dollars! I plan on using one for scarves and one for my purses. Also those hanging closet organizers that act as shelves add more space to hold shoes, folded clothing, or anything you think you would want to put in it. I cannot live without my planner! I have been using a planner for as long as I can remember. In my middle school and high schools they provided planners for us to use. I never liked them much though so I would go purchase my own from Target, Wal-Mart or Staples. When I went to college, I tried a new format: Monthly and weekly but the weekly had a time format. I liked that for a while but then I realized that it wasn't what I was looking for. So my Mom told me about this thing called a Filofax and after watching a billion YouTube videos about them I decided to give it a try and I love it! 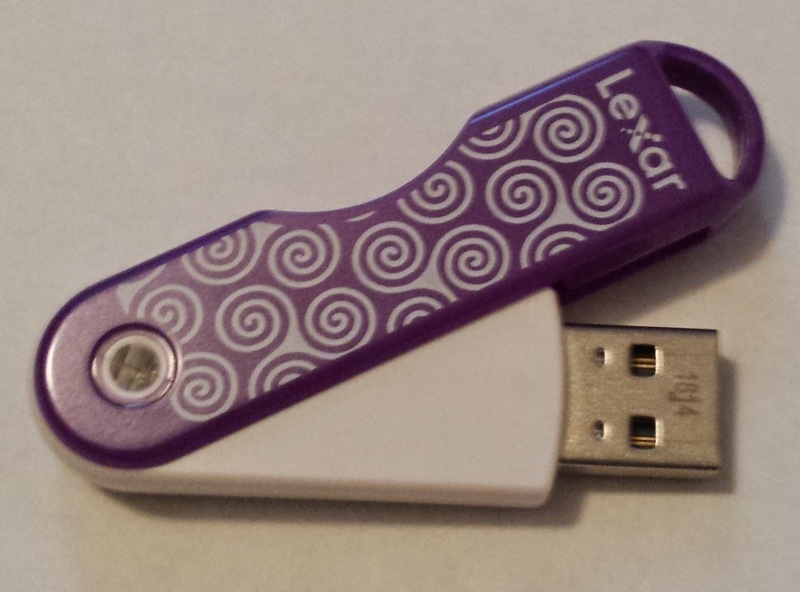 You can do so much to customize it and you can keep everything in one book, it’s a lifesaver! I love color-coding, I mainly use color pens in my planner to easily see when I have tests, or what homework I have etc. I use highlighters to color-code my notes. For example, in my math classes I use Yellow to highlight the chapter number and title, blue for definitions and important stuff, pink for formulas, green for examples and orange to highlight homework problem; I then use a variation of that for every other class so it stays consistent. My favorite highlighters are the BIC ones, especially since their 5 pack with blue and green is widely available. 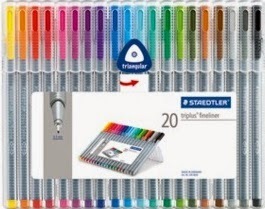 I am also lusting over the Staedtler Triplus fine liner pens. My campus floods, not like feet of water but enough inches that if I walk to class without rain boots my feet get soaked. It’s miserable walking through cold rain and having cold feet all day. A cute pair will keep your feet warm and dry but are also very cute! I would love a pair of Hunter Rain Boots, but I just don’t have the cash to afford some. So I am going to have to settle for some cheaper rain boots. Do you know that it is nearly impossible to find plain black tall rain boots that aren't over 80 dollars? Ugh. 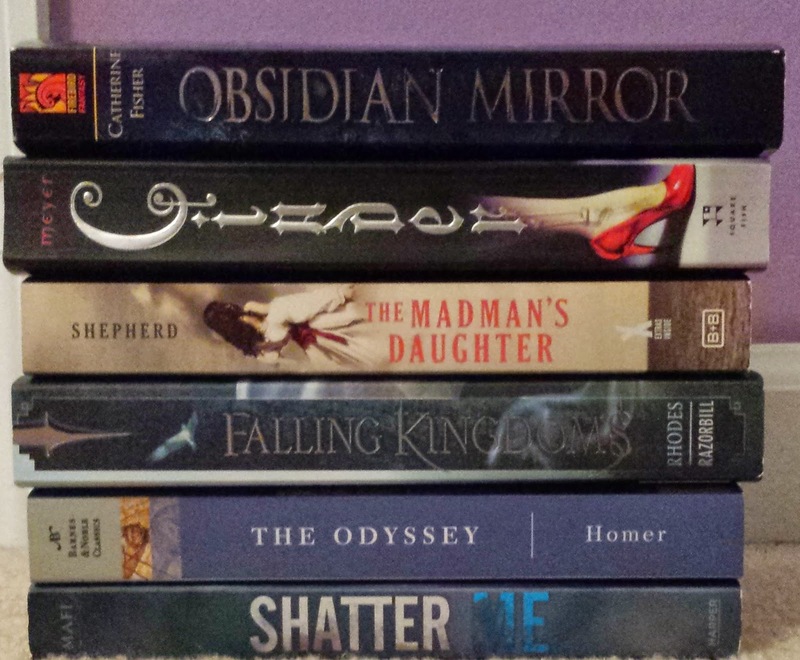 I love books (as I’m sure you can tell from my previous posts) so having a lot of fun novels is a must for me. I read a lot during my free time at school and go through books like nobody’s business. I also always have one in my backpack in case a professor is late, I have off time between classes but not enough to go back to the dorm, or if I go eat and I’m alone. Seriously, this is one of the most important things for me. I drink so much water at school. Well I should drink more, but I do carry a water bottle everywhere I go. It’s nice for class after walking across campus to class, after going to the gym, after eating snack in class (only if your professor is okay with food in the classroom) or eating at the commons. I like ones that have straws, I find that I drink more when I can just sit and drink through a straw, I can even drink while writing notes. Haha, but I can’t live without one; I lost mine a couple weeks ago and I’m dying without one. This is my most used item in school and out of school. I have a Lenovo y510p and I love it. It does all I need it to do and never runs out of space. It’s also super powerful so I can play all of my games (The Sims and Skyrim). Now you don’t need a super powerful, expensive laptop but I would definitely say a laptop is a must have. I take mine everywhere on campus (even though it weighs like 6 pounds) and I do everything on it. I also have a wireless mouse because the touchpad mouse’s can get annoying, a laptop fan, a case and a lock. Those aren't essential but are nice to have. Here are the two packing lists, since I can't actually upload the files the link will lead you to the Google drive .pdf document. If you want the original or the A5 size in Microsoft Word (any year), comment and I will send it to you via e-mail! I hope you guys enjoyed this. What are some of you college/school essentials?